The film was shot on the occasion of the 65th anniversary of Walter Benjamin’s death. It is structured in 18 fragments which mirror the 18 fragments of Benjamin’s Thesis on the Philosophy of History, the manuscript of which Benjamin carried in his briefcase across the Pyrenees. The film is shot on mini DV camera and all images and sound is from this footage. There are three main parts which are woven together. The first XYZ Outlet event is titled “In danger of early disappearance”, a performance based on “The Little Prince” by Antoine de Saint-Exupéry, a book which, though widely known, is not often appreciated for its deep and hard look into the dilemmas and conflicts of morality. XYZ present the exhibition Away and Boil your Head, with works by Alexis Akrithakis, John Bock, Savvas Christodoulides, Lydia Dambassina, Peter Dreher, Electronic Voice Phenomena, Tadeusz Kantor, Em Kei, Joachim Koester, Lotte Konow Lund, Mark Manders, Domenico Mangano, Nina Papaconstantinou, Ioannis Savvidis, Christoph Schlingensief, Gregor Schneider, and Ettore Sottsass. The in-between is an unbearable place. We soon discovered that this place is also real. A place, however, made up almost exclusively of time, its sole distinctive property being this: it lasts. We now find ourselves in this place as curators, while selecting works for this exhibition in Catania from the 1st and the 2nd Athens Biennale, conscious that we are on our way to completing an exhibition trilogy in 2011; but also as individuals, living in a country where everything feels suspended, banished in limbo. There is no sin other than the original one: bankruptcy. 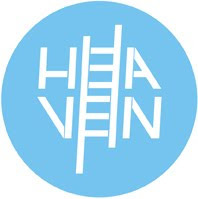 The 2nd Athens Biennale 2009 HEAVEN is designed as a multi-faceted contemporary art event, comprising of several exhibitions, actions, music and theatre performances, film screenings, symposia, etc, with the participation of more than 100 international artists. The exhibitions and events of the biennale will unfold along the coastline of Palaio Faliro, at a short distance from the city centre, the public beach called “Eden”, in various buildings and public spaces. Artistic directors XYZ, have invited an eclectic group of curators to contemplate the subject of Heaven. XYZ will be making a presentation at the 2nd Art Business Conference. 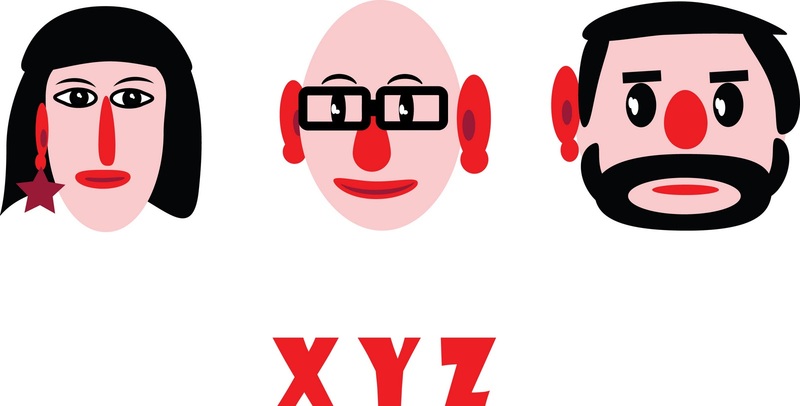 XYZ will focus on issues of fundraising and financing large scale contemporary art exhibitions, particularly in relation to private vs public funding, and the way contemporary art is perceived in the context of the art market. Please find more info (in Greek) on the conference, as well as the detailed programme, at Athens Art Business Conferences. XYZ are giving a series of six lectures, at the Museum of Cycladic Art, Athens, on the "Biennial Phenomenon". Starting with their own experience as founders of the Athens Biennale, XYZ will explore the history of Biennales, issues of cultural politics and city development, while offering a backstage glance at the preparation of a biennale. XYZ present the group exhibition Goldfish Suddenly Dead, at Extra City Centre for Contemporary Art, Antwerp. The exhibition includes works by Dirk Braeckman, T.S. Eliot, Jan Fabre, Boris Groys, Vassilis Karouk, Mark Manders, Poka-Yio, Lucas Samaras, Gregor Schneider, Vello Vinn, and Eva Vretzaki. XYZ are giving a series of seminars on curating, in AKTO college of art and design. The seminars cover a range of material on contemporary curating, while also offering the opportunity to participants to consider the practical aspects of the profession, focusing on the preparations for the 2nd Athens Biennale 2009 HEAVEN. XYZ are proud to present A Lecture by John Bock. XYZ are Xenia Kalpaktsoglou, Poka-Yio and Augustine Zenakos. They were formed as a curatorial trio in 2005. They curated the 1st Athens Biennale 2007 “Destroy Athens”, and they were artistic directors for the 2nd Athens Biennale 2009 “Heaven”. XYZ are interested in manipulating the exhibition space in order to create a narrative experience for the viewer. You can browse through XYZ's projects here. XYZ present XYZ Outlet and their new practice: "DRY: No drinks, no party, just an art quickie". In a tiny, abandoned store, in the downtown area of Metaxourgeio, a variety of projects will be showcased every two weeks, every other Tuesday, starting December 7th 2010 and running until the end of 2011. Each project will start promptly at 20:00 and will last up to an hour. The concept of this curatorial project is built along two main interests that form the core of XYZ’s practice: the politics of the personal, and the issue of narrative, ‘experiential’ and ‘immersive’ space. Along these two axes, notions of identity, representation, history, oppression, and possibilities of critical engagement in the face of crisis, will be addressed through versatile artistic gestures, selected for their intuitive, indirect, empirical and sometimes poetic approach. At the same time, a number of the selected projects will form part of a sort of ‘sketchbook’, a series of notes for the upcoming 3rd edition of the Athens Biennale 2011, co-curated by Nicolas Bourriaud and XYZ, the narrative of which begins with a rather peculiar encounter between Walter Benjamin and the Little Prince in contemporary Athens. A small stage for experimentation and presentation of idiosyncratic artistic positions, where, within short periods, projects will interchange in a relay and trigger discourse, XYZ Outlet will act as a twisted worrywart in the heart of one of the most controversial neighborhoods of Athens, and quite literally outlet a tangential view on exhibition making and structures. A cozy and friendly hub for unexpected and disconcerting ideas. 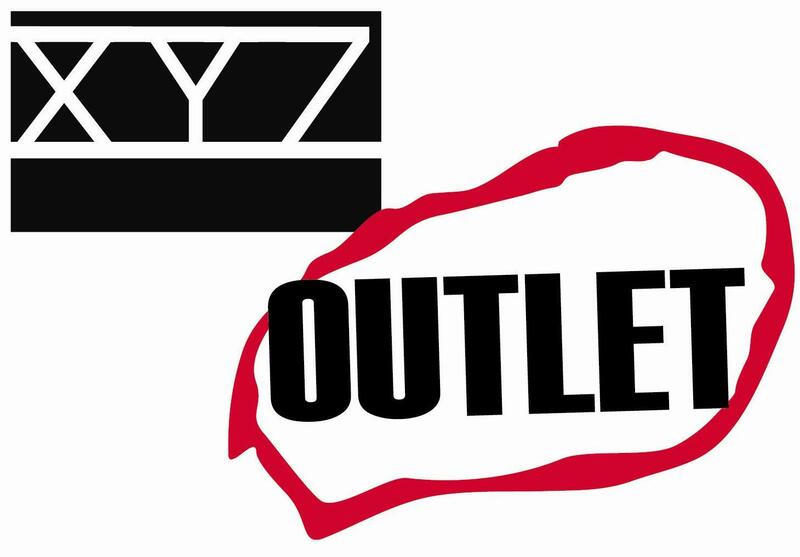 Please bookmark the XYZ Outlet program page, so you can keep up with events, or join our facebook page for regular updates. For inquiries, please contact XYZ. For inquiries about XYZ Outlet, please contact Ms Zoe Charaktinou, Assistant Curator, on +30 210 5232222, or at xyz (at) xyzprojects (dot) org. Please note that although XYZ are happy to receive submissions from artists, and they do look at everything they receive, please consider that it is not always possible for them to give feedback or to enter into discussion about unsolicited submissions. XYZ Outlet #3: Panayiotis Lamprou | Photos from "Untitled History"
XYZ Outlet #6: Harald Thys & Jos de Gruyter | “Ten Weyngaert"
XYZ Outlet #10: Stelios Karamanolis & Toula Ploumis | "The Collection"
XYZ Outlet #14: Elisavet Kapogianni | Are you enjoying an intercontinental life?